THANK YOU COACH ROBB, HEATHER, KATHLEEN AND PAAVO. THANK YOU NATHAN. And thank you parents and supporters. Team Banquet, March 14, 2019, 6pm - 9pm. Parents, there are volunteer opportunities at this link. We need parents to sign up to help skiers keep warm at the start line, aka 'caping,' for the Section Meet on Feb 5. Sign up here. Here is the Holiday Camp Form. Robb will begin collecting the Holiday Camp Forms on Thursday 12/6. You will need the Central Ski Trip Contract, the Ski Trip Permission Form and a check. Holiday Camp will be at Ironwood, MI from Wednesday 12/26 through Friday 12/28. $150. This is a great opportunity to get a lot of skiing in. Beginners should not be intimidated. This is a great opportunity to concentrate and learn how to ski. ABR is a lot of fun. We will have room for at least 32 athletes. Como will have 20 spots. We are primarily limited because the bus seats 54. Save the Date: Endurance United Turkey Trot, Volunteer Fundraising Opportunity- Battle Creek Dog Park - Sign-up coming soon! 6:40AM: Day of Registration and Bib Pick-Up opens at the start line. Awards will be presented to the top three overall females and top three overall males of each race distance. Presentations of awards will be made as soon as results are available. Be prepared for a mix of paved trail and off-pavement cross country ski trails including a dash of Mother Nature in the mix, could be warm and sunny then again, it has snowed early. The terrain is generally rolling and would not be described as flat. The Turkey Day Trail Trot is welcoming to calm, friendly dogs. Please use a fixed, non-extendable leash and be aware of other runners. Check out our St. Paul Central Store Items! New style Central Nordic Hats! Knit hats with pompom and slight ear flaps. These are warm and great for spectators! $20 each. Bjorn Daehlie black tech fabric hats $20 each. TOKO arctic commando insulated water belts!! $40 each. TOKO arctic commando boot bag!! $120 each. Long-sleeve or short-sleeve t-shirts. $15 each. Contact Liz Brine (651-278-7488 or lizzieknitting@yahoo.com) for hats or t-shirts. Order your Podiumwear Race Suit by November 20, 2018. Click here for the storefront, which will close on November 20, 2018. Need to Rent Equipment? Click here for the information form you need to fill out by Wednesday afternoon, 11/14. Please help Robb round up rental equipment by filling out this form as soon as possible, ideally by midday Wednesday. Thanks! To be eligible to participate in athletics at Central High School, all student-athletes must meet the student conduct and academic eligibility requirements. In addition, the following items must be turned into the Central Athletic Office before or on the Friday prior to the first scheduled day of practice. To ensure the athletic department receives all necessary materials prior to the start of the season, do not mail fee or forms to Central High School. All registration items must be hand delivered to the Athletic Office (room 1116) for verification prior to the first scheduled day of practice. Failure to turn in necessary materials on time will result in an ineligibility to physically participate. Athletes cannot participate until they have been deemed eligible by the athletic department. No participation fee refund will be given after the second official week of practice. A refund request must commence by the athlete or parent/guardian within the first two weeks of practice. Registration for all athletics ends on the third Friday from the start of a specific season (some exceptions may apply to this rule). Additional athletic registration resources are available on the Athletics Homepage under "Athletic Forms" in the right hand column. Parent Athlete Information Meeting. November 5, 6:30pm, Central Cafeteria. Parent Athlete Information Meeting is tomorrow, Monday, November 5th at 6:30 pm in the Central Cafeteria. Lots of information about the season, eligibility, uniforms, equipment, Holiday Camp, etc. Academic Standing – usually not an issue for our athletes. No outstanding uniforms from fall sports. If you were in a fall sport at Central, you just need to pay the fee and make sure all your uniforms and/or equipment is turned in. Current Physical as well. Athlete Interest Meeting. October 25, 2018 at 2:15pm in Room 1415. Athlete Interest Meeting will be this Thursday 10/25 after school at 2:15 in Room 1415. Eligibility Forms and quick intro to our Nordic Team at Central. Should be less than 30 minutes. Perfect for this weather - New Central Nordic pompom hats! Central Nordic Hats are here! Central Ski Trip Contract, Permission Form and a check are due on Wednesday. There will be 32 spots available. Forms are here. Here is a link to sign up to help. Turkey Trail Trot Fundraiser. Awards will be presented to the top three overall females and males of each race distance. Presentations of awards will be made as soon as results are available. 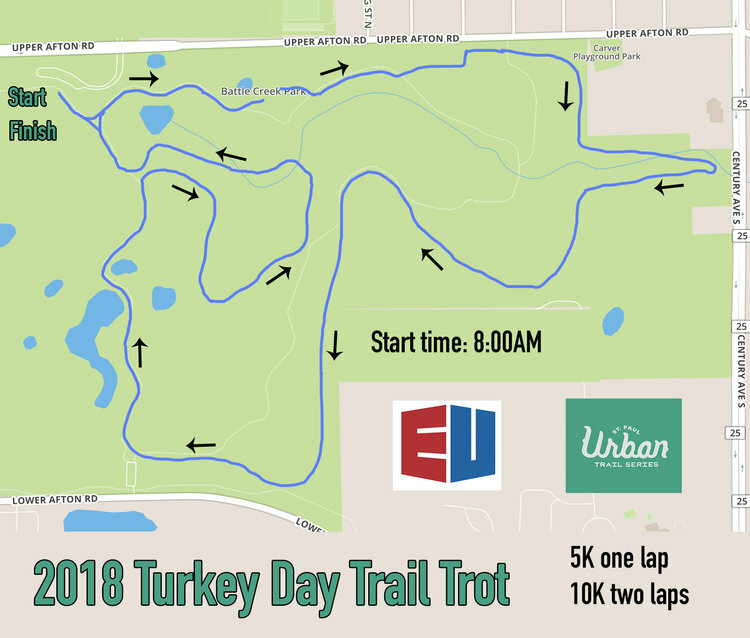 The 2017 Turkey Day Trail Trot is run on a unique and challenging 5k course. The 10k will run two laps of the same 5k course. Be prepared for a mix of paved trail and off-pavement cross country ski trails including a couple of steep uphills. The terrain is generally rolling and would not be described as flat. Strollers are welcome, however some of the trails may dictate an off-road ready stroller. Keep this in mind. Correction: VO Max Jacket Orders are Due on TUESDAY, Nov 21. Please bring your check for $100 and jacket size to practice on Tuesday in order to get on Robb's VO Max order. 2:30-3:30 Seller pickup of unsold equipment. Unclaimed items are donated to MYSL. **We recommend that ALL first time ski buyers/swappers attend one of the equipment talks. **We will guide you through a worksheet that will allow you to shop with confidence! Suits will be available again this year from Podiumwear. The link to the storefront is https://www.podiumwear.com/team-storefront/st-paul-central-ski-team/ Password is in Robb's 11/15 email update. Coach will have some suits at practice on 11/16 if you want to try for size. Do it now before the SNOW! Ski bag embroidery is "CENTRAL NORDIC" and your last name on the top of the bag. Available until November 20, 2017 for $12.00. Go to http://www.declareitspiritwear.com and click on Central Nordic in the Group menu on the left. After purchasing online, bring the ski bag (with a note attached identifying that it is yours) to Liz Brine at 758 Lincoln Ave, St. Paul 55105. Bags will be returned after Thanksgiving. If you missed handing in your forms on November 10, it is not too late to join the team. You have until December 4 to sign up. However, you will need to wait one school day from the date on which you turn in the forms before you can start practicing with the team.